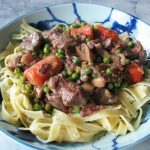 I borrowed this from Cooking Light and used the ground lamb as indicated…it was only afterwards that I figured out that any ground meat (or cooked and chopped leftover roast lamb, chicken or pork – added at the end to heat through), would be really tasty as well. Enjoy! Heat a large skillet over medium-high heat and add a splash of oil. Cook the lamb, onion and garlic for about 5 minutes making sure to stir and crumble the lamb. Add in the carrot, rice and cinnamon and cook for a couple of minutes, then add in the broth and bring the mixture to a boil. Reduce the heat, cover the pan and allow it to simmer for 15 to 20 minutes until the liquid has absorbed and the rice is tender. 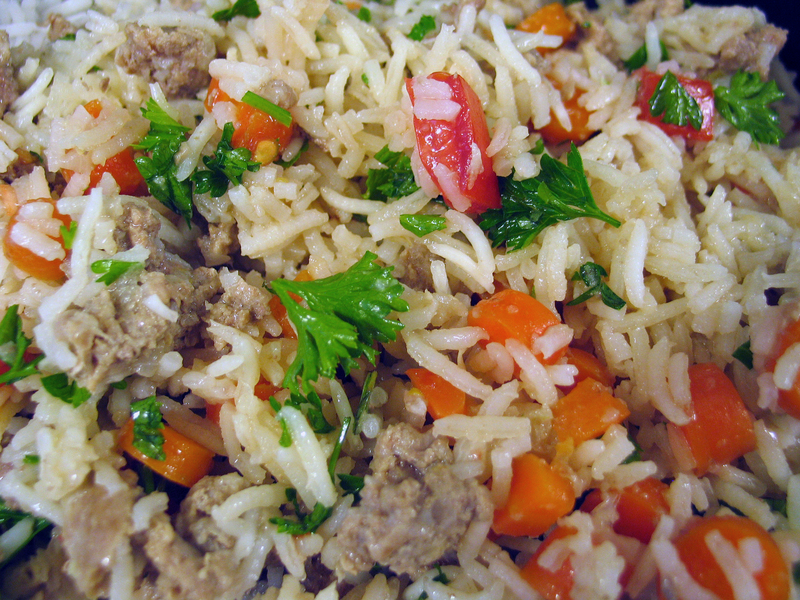 Remove the skillet from the heat and stir in the tomato, parsley, mint, lemon juice and salt, then cover it again and allow the pilaf to sit for a few minutes. Garnish with more parsley before serving it if you’d like. We enjoyed this with fresh pita bread and some Tzatziki Sauce that I whipped up at the last minute.